My recital tomorrow has been cancelled, courtesy of the cruel weather gods of New England. 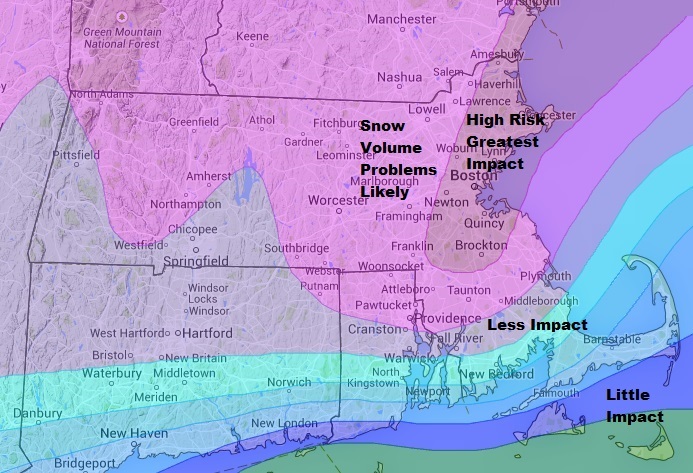 As the helpful map above indicates, the Greater Boston area is about to get hammered with yet another snowstorm. That’s 3 in 3 weeks, in case you’ve been counting – third time’s the charm? Hopefully we can find a date to reschedule – I’ll keep you posted. You can read more about the storm here. This entry was posted in Performance and tagged Cancelled, Chamber Music, Performance, Recital, Snow on February 8, 2015 by marinakrickler.